Every year I purchase your engraved ornaments and no matter which I choose I am never disappointed!!! Love the 2 birthstone ornaments I purchased. My grandkids will love them too. They are adorable! I'm sure my grandsons will love them, especially with their names and birthstones on them. I am absolutely certain that the grandchildren will enjoy these very special ornaments. This ornament is perfect for our newly acquired step grandson, our first amid 5 grand daughters! We feel this is more appropriate for an older boy than say a gold angel with bell. Love that his birthstone is included and lets Alex know he is truly a member of our family. I buy a different ornament for my grandchildren every year. 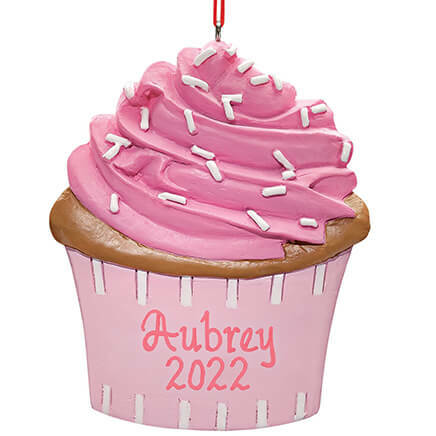 I like getting an different ornament for my grandchildren every year. My oldest one is 15 so I probably won't be getting one for him too much longer.The other 2 are a boy whose 11 & a girl whose 5. I needed a small ornament with my husbands name on it. 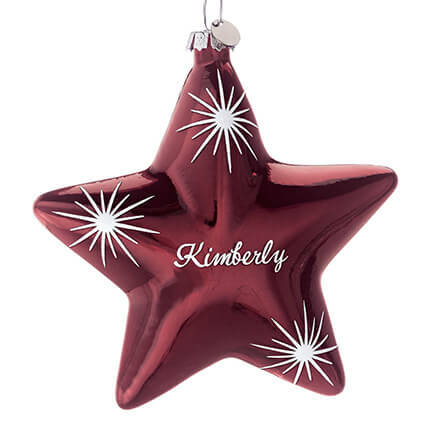 When I was a child, my grandmother began a tradition that every year we would get personalized metal ornaments. Now my grandmother is gone, but I continue this tradition for my children and nieces. I prefer the pewter or metal ornaments because of their durability and engraving. I have ornaments from 1979, when I was born, that are the metal ones, and they have held up all these years! Miles Kimball is the only place I trust to deliver these ornaments year after year. 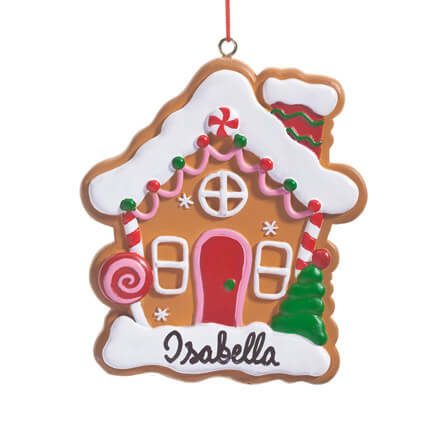 The ornaments fit the occasion for people whom we care about! 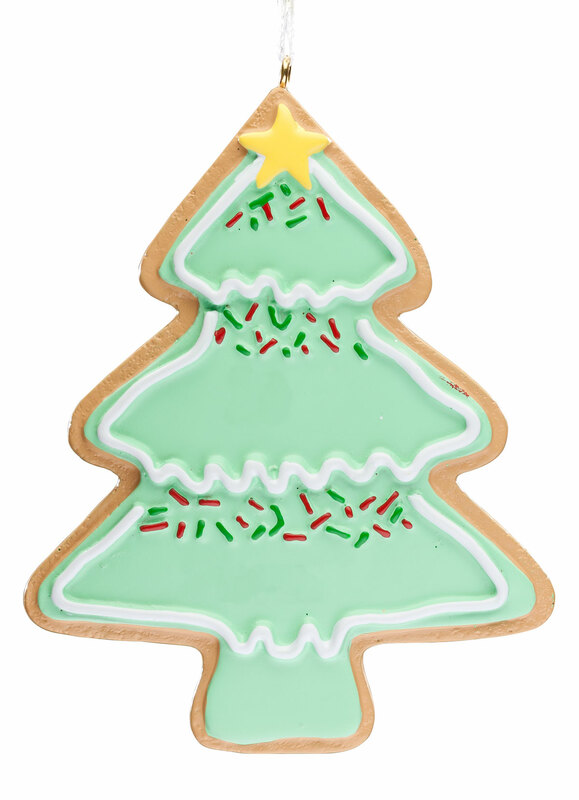 It is very cute and I was looking for something not necessarily religious but Christmas theme. New grandson - this works. I liked the personalization and the ability to make it their birthstones too. I give my children and grandchildren a Christmas ornament every year and the usually come from you. I like this item because it is different from other things I've seen. Ive ordered your ornaments before. They are beautiful and make wonderful gifts! I give my children and ornament every year for Christmas, it's a tradition. Could personalize with name, date, and birthstone on unbreakable material for family with 2 toddlers and a cat! 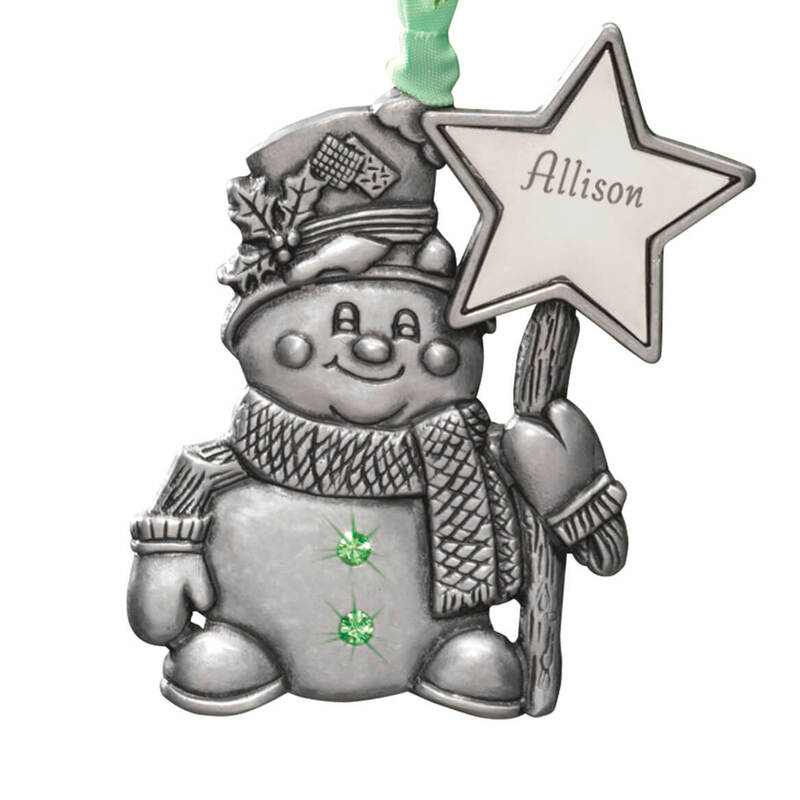 I ordered 5 of the snowman ornament personalized for my Great Grandchildren & was happy with them. Then I ordered 1 angel ornament and was not happy with it because the name was not engraved like on the 5 snowman ornaments but looks like it was stamped on. So I am ordering this snowman because I don’t like the way the angel was personalized. I really thought this pewter Snowman was cute. I bought one for each of our three grandchildren. I like the sliver and gold birthstane ornaments the best. they are keep scapes. Snowman was closest to his sisters angel ornaments, but would have liked a line for year of his birth. My daughter loves snowmen and so do I.
I had no choice. I wanted the goldtone metal teddy bear with birthstone and engraving or the goldtone metal snowman with birthstone and engraving. But could not find those. All the others I have are goldtone. This one will look out of place, choices were limited for a boy. 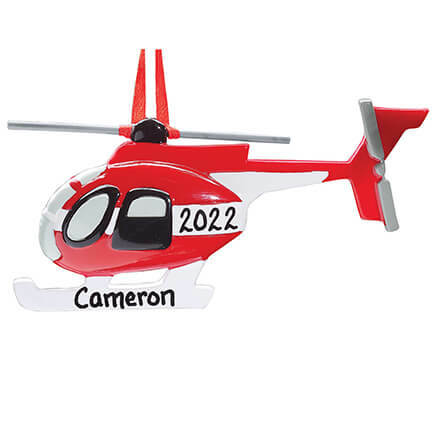 Bought some similar with names for other grandchildren. Had 3 more needed I couldn't't find the names for so found these cute ones with Miles Kimball. Been buying these as my grandkids are joining the family. Up to six now. 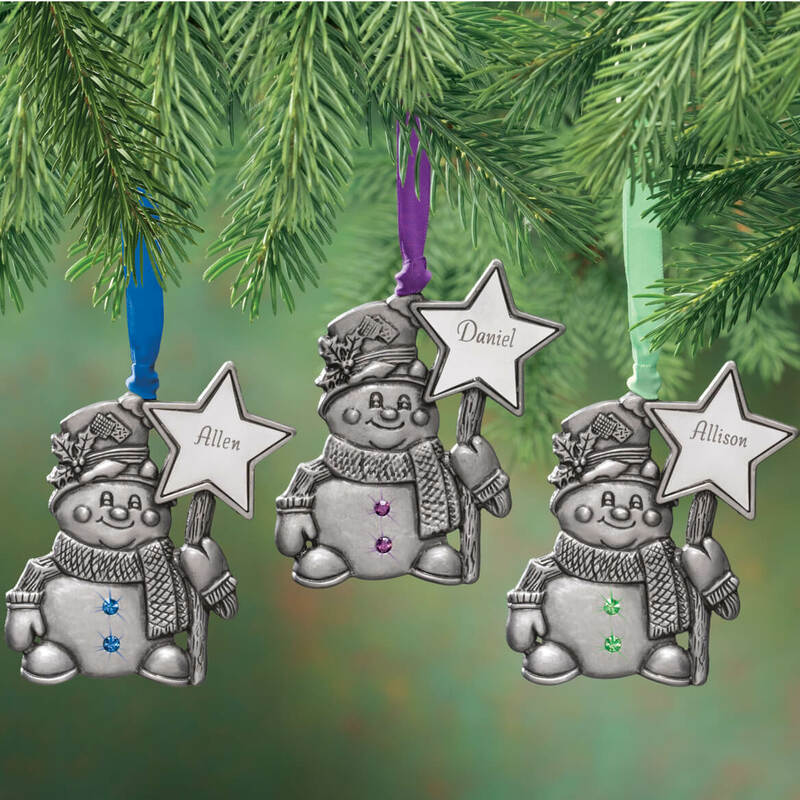 I chose these so my 4 little grandchildren would be able to find their own special ornament on our Christmas tree. what color is the birthstone for October? BEST ANSWER: It is a pink color. It wasn't what I expected but it's cute and will be ok.
What months are dark red and dark blue? BEST ANSWER: Thank you for your question. Both January and July are red as January is Garnet and July is Ruby. September is dark blue as it is sapphire and December will be light blue as it is blue topaz. We hope this information will be of help to you.